Providing the help you need when you need it. Receive an email response within 6 hours on business days. Support service starts on Monday morning 9am Australian Central time (11:30pm Sunday UTC) and ends on Friday evening 5pm Pacific time (1am Saturday UTC). Obtain the latest version of Bright Cluster Manager (i.e., ISO downloads for newer versions) . In addition, the Bright Computing customer support team will help you utilize company manuals and our knowledge base to answer any current or future questions. We help install Bright Cluster Manager on any x86_64 based hardware that is supported by the chosen Linux base distribution, using any of the documented Bright features. When the add-on installation method is used (as opposed to the bare-metal installation method), installation on top of a default minimal installation of the base Linux distribution is supported. Default minimal installation of the Linux base distribution means selecting a minimal set of packages during the installation and leaving all settings to their defaults. The Bright support team can help create configurations to meet a customer’s specific needs using any of the documented Bright features. Please note: If Security-Enhanced Linux (SELinux) is enabled on the head node or compute nodes, and a problem arises, a customer may be asked to demonstrate that the problem also exists when SELinux is disabled, and is therefore not caused by a policy problem in the SELinux configuration. Site infrastructures vary greatly so we are not able to provide support for the 3rd party hardware and software that may be involved. Nevertheless, the Bright team will do its best to provide support on matters related to integration of a cluster into your site’s infrastructure. Information on how to accomplish many integration tasks is provided in our product manuals and knowledge base, and these are often all you need to get the job done. If not, we may be able to help. We will ask that the customer demonstrate how to accomplish the aspect of integration on an ordinary machine running the same Linux distribution as the cluster. Once we have that information, the Bright support team can provide instructions on how to accomplish the same task using Bright Cluster Manager. Integrating with Active Directory: There are several KB articles which describes how to integrate a Bright Cluster with Active Directory (AD), however that integration requires help from the Windows Server administrators. It's the responsibility of the Bright Cluster administrator to communicate with the Windows Server administrators to get the required information for the chosen integration method. Debugging AD integrations issues is beyond the scope of Standard Support. Bright does not provide support for hardware issues. When it is not clear whether an issue is due to hardware or software problems, Bright engineers will work with a customer to determine the source of the problem. Bright customers receive access to all new software releases, and our support team manages any issues that arise as a result of an upgrade. To identify versions of its software, Bright Cluster Manager uses pairs of numbers (e.g., 5.2 or 6.0). The first number denotes the major version of the software and the second number denotes the minor version. An upgrade within the major version (e.g., from 5.1 to 5.2) is called a minor upgrade. An upgrade from one major version to the next (e.g., from 5.2 to 6.0) is called a major upgrade. Minor upgrades, and recent major upgrades can be done in-place. The Bright customer support team will enable smooth transitions during software upgrades. Third-party software is all software not developed by Bright Computing, even though it may be packaged with or integrated with Bright Cluster Manager. Examples include: Linux kernel, all software belonging to the Linux base distribution (e.g., RedHat), Open MPI, ScaleMP, and workload management systems such as Slurm, SGE, LSF, Torque, PBS Pro, and UGE. An exception will be made if a customer demonstrates that Bright packaged an application incorrectly or that the integration in the user environment is incorrect. No support can be provided on issues related to compiling or running user applications; i.e., applications that are not packaged as part of Bright Cluster Manager, and which are installed onto a cluster by a customer or other individual. If a customer suspects the issue relates to a Bright product, the problem must be demonstrated using a small application that will allow Bright engineers to reproduce the problem. No support will be provided on issues relating to the workload management system (unless a customer has purchased a Custom Support Package with Bright). The only other exceptions are during the initial installation and configuration and in cases where a customer demonstrates that an issue is caused by incorrect integration between Bright Cluster Manager and the workload manager. No support will be provided to trace performance issues in the cluster. 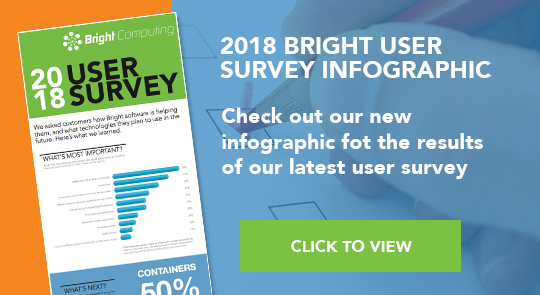 The only exceptions are performance issues related to software components developed by Bright Computing. Our support engineers will do their best to determine the cause of a failure, but we cannot guarantee that all issues can be traced down to a root cause. Run the “cm-diagnose” utility if asked to do so by the support team. This utility collects log information on the cluster that may help resolve the issue. Provide remote access (if site policies permit) via the “request-remote-assistance” utility. This opens a “reverse SSH tunnel” that can be used temporarily by Bright support to log in to the cluster with root access. Bright’s Standard Support Package includes all of the services listed under the Scope of Coverage above. Based upon contractual agreement, Bright will tailor support to satisfy customer need. Examples include custom development work or developer-level support for partners building Bright extensions. The support team was polite and responsive in spite of the fact that what I was asking was not actually a supported request. They offered the advice they could, and it was expert and directed me towards exactly the information I needed to fix my issue. "I would say that Jason was very calm, cool, and knew what he was doing. He provided superior service. I continue to be impressed by your tech support staff." "Sean was very helpful in working with me through multiple issues. He was able to find a work-around (and a fix) to our main issue and then quickly accessed and sent replies and verification for what I was seeing. Overall, he was an excellent resource." "Superb interaction with the support tech, Ben. Extremely knowledgeable." "Outstanding response and expertise, we are stunned." "The engineer ensured a prompt and effective solution to my inquiry. We have implemented said solution and are comfortable with the new trigger for to workload functionality. Please continue to keep Bright solution engineers, of this caliber, on staff." "Congratulations! your support department is excellent"